Last Updated: 06 Aug 2018. IT is one of the chief miracles of science. It has revolutionized human outlook and is serving as the faithful servant to humanity. IT has both advantages and disadvantages. The few advantages are the global range opens up the possibilities of studying projects, which might have seemed impractical before. There is an ability of the medium to cross the time and space barriers, which might limit standard research. It allows for wide geographical access to individuals or groups who are geographically distant. The larger and wider participant pool available through the Internet can facilitate cross-cultural organizational research. It helps in easier handling of data. We use computer for data entry, coding, search and retrieval, display and concept building, online surveys can feed directly into software. Data can be transmitted faster than normal research. The Internet is also conducive to easy dialogue for respondents. It minimized interview error and minimized interview bias. The growth of use of IT and its tools in the field of Education has seem tremendous growth in the recent past. Technology has entered the classroom in a big way to become part of the teaching and learning process. Many people already use IT at work. Banks use computers to store account details. Travel agents and airlines use computers linked by telephones to make bookings. Technology itself can cause problems too. Some software used to develop questionnaires may not be compatible with some computers. Older computers will not be able to cope with advanced programming language. Online surveys may be completed by people that it is not intended for. People may submit multiple responses. There can be a selection bias of respondents. Clearly, when using the Internet for survey research there will be a bias in terms of who is responding and a relative lack of representation of those who do not have access to the Internet. There is really no accessibility to names. Making contact and recruitment, finding e-mail addresses, ensuring co-operation are also difficult. It is possible to lose access with participants. A study in 1996 found that 21% of those who had Internet access in the first period of the study were no longer online seven to eight months later. There are problems in operating computers and in computer technology but is no argument for relegating it. On the balance of it, it is a boon and not a bane. By Prajjwal Singh / In Gwalior..
As we all know that,today's age considered as IT age. Now adays we all are mostly depends on IT SECTOR for our works. 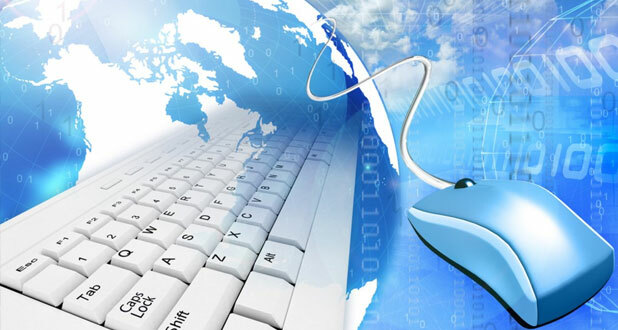 IT sector spreads its utilization in each field like banking ,shopping, online reservation and many more. we can say that it makes our life more comfortable.i.e We uses facilities provided by IT engginers for getting easyness in our life so we can say that it is boon not bane. By Nishi Gupta / In Lucknow, Uttar Pradesh.. There is no two suggestions that is boon.. Yes of course it is considered as boon for the society. Toady we are mostly dependent on IT sector. Either it may be communication, banking, finance, schooling, shopping etc many more other things. So IT is being proved boon not a bane. But there may be a problem that we are going to be dependent on each-other for our work. As we will see the development then we will always say that it is a boon not a bane. By Rajkumar Mukherjee / In Kolkata..
Information Technology, a revoloutionary term i.e. A part of our modern life too. I claim IT as boon sector,because our modern world became too modern for IT. It helps us to trend our company to all the people of not only of this country but also all the other country. So IT helps us to make a inter-country communication, which is very useful for integrity between two countries. IT is now a major weapon for success in business world.Now depending on the demand of IT a country gdp may vary. Every thing in this world which have advantage must have some disadvantage, IT is not an exceptional case. Through e-job portal many fake job programme is announced which required some amount of money in the form of draph from the candidate. They totally play with the emotion of the candidate. Also,due to some fault in coding few competitive exam have to rescheduled. So IT BOON MUCH THAN BANE. By Raghu Gaddi / In Bangalore.. IT has emerged as fastest growing sector in india, not only in India world wide. IT revolution has changed the way we work. Manufacturing, Agriculture, entertainment, Education, Banking has wittnessd tremendous changes over the past few years. As I said in above, IT revolution entered in all the organization this will requires a Thor knowledge,asset, to a part of IT. It is boon not a bane.